A spokesperson said, “A handful of local talent has been selected for an intimate listening showcase for Ms. Shanti Das; founder of the Hip Hop Professional Foundation, Mr. Anthony Blakey, songwriter for Sony, Award winning artists Anthony Hamilton and Keri Hilson and Blac Elvis, a Grammy Award Winning American record producer. These industry professionals will be giving advice about their craft and career progression. “I’m excited about participating at Savvy Sessions this week!!! I look forward to discussing every facet of the Music Business with the participants and answering any questions you may have. We’re going to have a blast”, says Super Producer Blac Elvis. 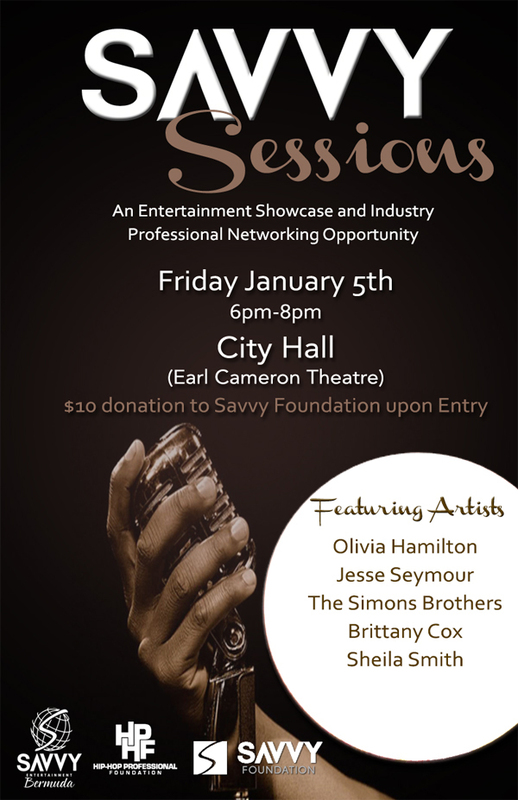 Savvy Sessions will be held on Friday 5 January at City Hall; Earl Cameron Theatre from 6pm to 8pm. The public is invited. A limited number of tickets to Savvy Sessions is available for a $10 donation at www.ptix.bm.